What is Aquaplaning and How Can it Affect Your Driving? With the summer period now behind us and rainy months ahead, it is time to talk about aquaplaning. What does aquaplane mean? How can it affect your driving experience? And what you need to do in order to be properly prepared for frequent and heavy rainfalls. Understanding aquaplaning (aka hydroplaning) is crucial for young drivers, especially during rainy autumn months. The hydroplane definition is rather simple – the term refers to a layer of water that builds between the tires of your vehicle and the road surface. It can be extremely dangerous as it can lead to insufficient traction between the two said surfaces and thus prevent your vehicle from responding to any direct input of controls on the road. 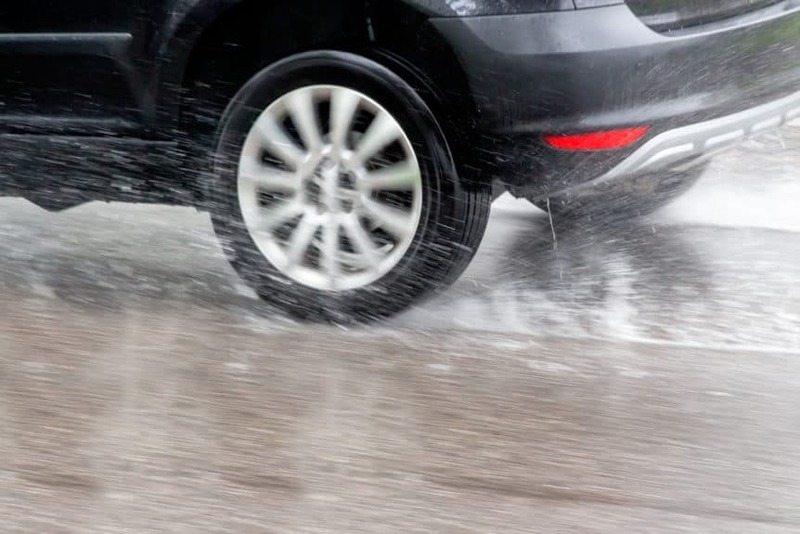 Although your car is usually able to push enough water out of the way using its weight, during the so-called aquaplaning, the amount of water increases drastically, and the volume becomes so big that your tires aren’t able to push it aside any longer, thus allowing for a water layer to build up underneath and prevent your car from having enough traction with the road surface. If you find yourself in an aquaplaning scenario, it is vital to try to remain calm. 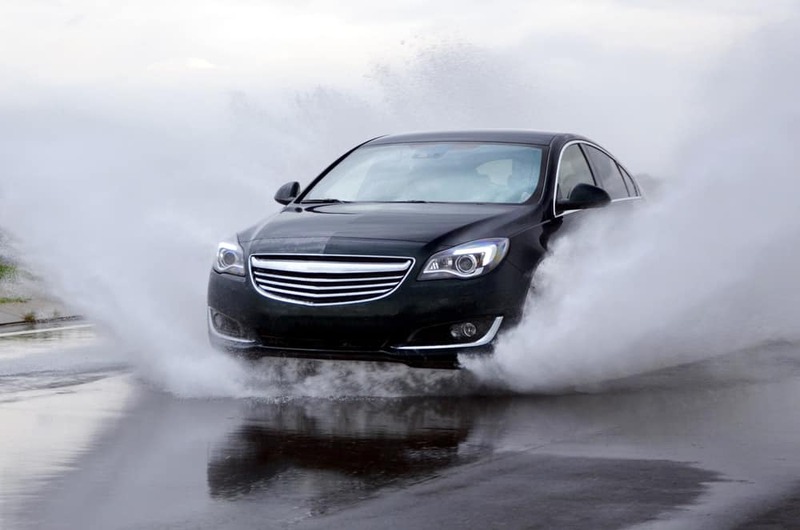 In most instances, hydroplaning occurs during short intervals that last merely a few seconds. However, panicking and resorting the wrong response can really make things go wrong and lead to an accident. Since the tires of your car don’t have sufficient traction as they are minimally (or not at all) connected to the surface of the road, braking or accelerating won’t do much, due to the layer of water that is present between your tires and tarmac. Plus, braking will only make you have less control of your vehicle while accelerating will, also, result in increased aquaplaning at increased speeds. Allowing your car to slow down naturally, without hitting the brakes is the right way to act. This way, as tires begin to sink back on the surface and start pushing the water away from underneath them, you will be able to gain complete control over your vehicle again. Opting for winter tires that are designed to cope with high rain and ice is crucial. In order to beat aquaplaning, you will need to choose the ones that have both the sufficient tread depth and the right tread pattern. When it comes to tread depth, 3 to 4 mm is the bare minimum, if you want your tires to be able to properly divert and expel water from underneath them. As for the patter, it is recommended that you opt for either directional or asymmetric one. The directional design is great at liquid expulsion and is perhaps the best option for providing resistance to aquaplaning. Asymmetric pattern, on the other hand, features small blocks within a tire that are, also, built to cope with wet surfaces and are recommended for vehicles that have more powerful engines. For more similar articles, and best towing assistance in Phoenix, Tempe, Ans Mesa – visit Phoenix Towing Service. Help’s on the way!